Video of the wireless iPad Pro touchscreen Mac Mini Setup! In this video, Jonathan Morrison shows us that he was able to wirelessly link his new iPad Pro to his Mac Mini and use it as a monitor. I myself have always wondered why Apple wouldn't come out with a product more like the Microsoft Surface where users can run Mac OS X and creatives can write, draw, and edit on the touchscreen. 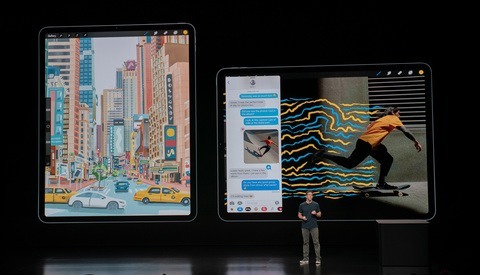 It seems like Apple is slowly getting there with this new iPad Pro, but honestly, they appear to be behind when it comes to this type of tablet/computer innovation. As Morrison explained, you cannot run OS X on the actual iPad, Pro nor is this compatible with PC. You will also need an adapter called Luna Display to connect the two devices in this specific case. Once these two things are taken care of, Jonathan makes it clear that you need a strong WiFi connection in order to have a good experience with this interface. So how would this help with editing? For many, the fact that you can have a touchscreen display essentially running Mac OS X could be enough to put a smile on your face. You can access all your computer files and use programs like Photoshop, Lightroom, Premiere, Final Cut, and so much more. Hell, if you wanted, you could stick to simple things like browsing the web or drawing on the screen with the Apple Pencil. The possibilities with a combo like this could go on forever. For me, when it comes to video editing, I love nothing more than hopping on my 27" iMac Pro and going at it. However, there are times I realize it would be nice to have a more efficient workflow. I think that utilizing an iPad as a dual-screen setup with my iMac could be something I eventually look into. Rather than having everything crammed on my desktop, I'd be able to open up bins, project folders and even throw up panels like Lumetri color and effects on the iPad. 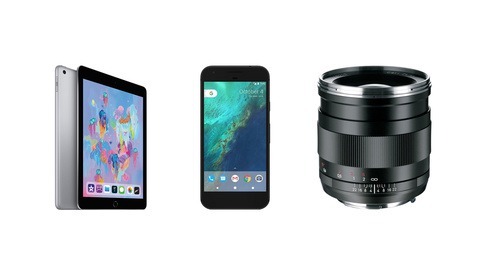 This would give me a separate display to work on, letting me put more important things on my main screen while having the ability to use the iPad and Apple Pencil when necessary. This seems to be a pretty interesting piece of tech and could be useful for some creatives out there. If you are interested in other videos from Morrison, check out his YouTube. You mentioned the Apple Pencil but didn't say how editing / retouching was with the iPad compared to somethibg like a cintiq/intuos. I think that'd be the main use case here. although there have been problems with it after the release of High Sierra due to Apple axing a few hardware APIs from the dev stack that relate directly to external displays over USB. this issue wasnt resolved with Mojave. even worse, the crew behind Duet, one of the more popular apps for wired and wireless external display on iPad Pro, have been disturbingly quiet on possible future resolutions to this issue. but there's AstroPad (the same folks make Luna Display), the aforementioned Duet, and Air Display by Avatron, that I know of so far. I currently use Duet via lightning to USB cable, and before High Sierra it worked great. now, not so much. the new USB-C equipped iPad Pro will ultimately solve this issue for me. 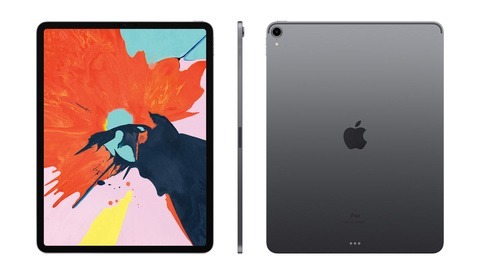 others who have already used the new iPad Pro have said that it's elementary, and nearly flawless, to use the new iPad Pro as a second head via USB. What's the fuss about this thing now? What's the device actually doing? There are so many solution out there, like Duett Display (that even mirrors the Touchbar) without any hardware. the dongle tricks the computer into thinking that there is a physical display attached, allowing hardware acceleration. I’ve been using one as a small monitor for the photographer, works amazingly well.